​Patriots Rob Gronkowski has spoken about the possibility of retiring soon over the past two years. It seems to be in the cards for the near future, but it is the last thing on his mind at this point. In a press conference on Thursday, Gronk dodged a few questions about his potential retirement after the season, stating that he was only worried about this year. The superstar told reporters, "I mean, I haven’t been thinking about that at all. We’re on the last game going into Week 17. We’ve got the Jets and that’s all I’m really worried about as of now." This came after ​Tom Brady shot down retirement questions, claiming he plans on playing in 2019. It seems as if Bill Belichick's tight-lipped approach has finally rubbed off on the tight end. It only took eight years. On what Gronk has done that doesn't show up on the stat sheet, Belichick said, "What shows up on the state sheet for us is wins and losses." He also added that Gronk's "a great team player"
Though he is only 29, it's obvious that Gronk is slowing down exponentially. He only has 658 yards and three touchdowns on the season. 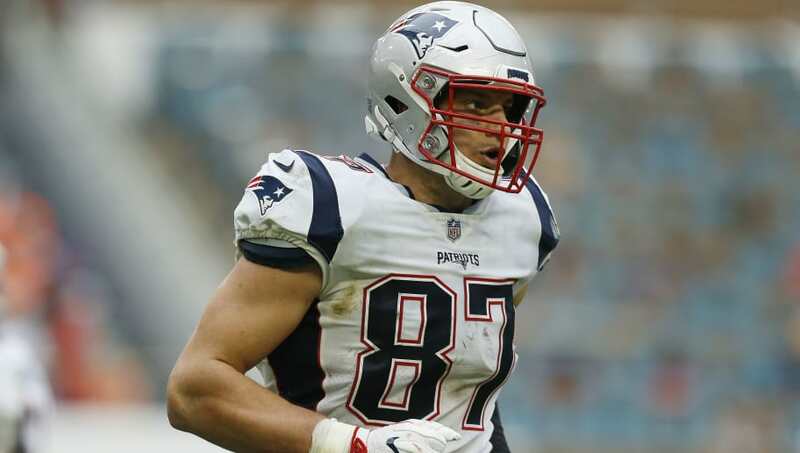 While that would be standard for some good tight ends, it's extremely low for Gronk, who has had Hall-of-Fame-worthy stats almost every year. His ​continuing injuries are also starting to play a role. But, he isn't worried about all of that right now, and you shouldn't be, either.